All 13 robbers rather foolishly began to spend recklessly. Born in 1845, “Big Jack” Davis arrived in Virginia City, Nevada in the 1860s hoping to make a living as a professional gambler. However, his luck was not in at the roulette wheels or in the poker hands so he turned to robbing stagecoaches to earn a living. In 1870 he met John T. Chapman, a former Sunday school superintendent, who hailed from Reno, Nevada, and they took to robbing trains. 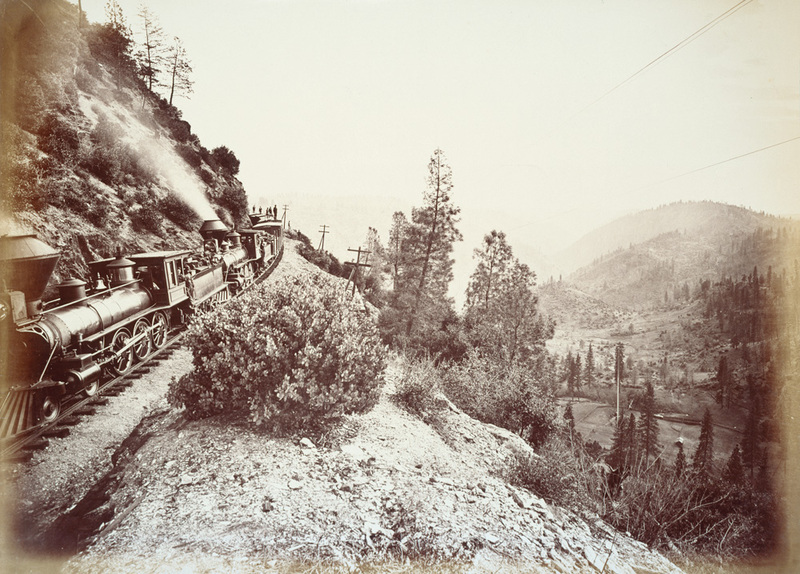 On 4 November Davis and six other men stopped and robbed the eastbound Central Pacific Express No 1 at Verdi, Nevada. They rode off in the direction of Virginia City where they divided up the spoils from the robbery — $41,600. Ten hours after Davis and his desperadoes had robbed the train, it was stopped again by six army deserters who promptly stole $4,490 that Davis’s men had overlooked. All 13 robbers rather foolishly began to spend recklessly and they were soon captured by the authorities. They received sentences ranging from 10-15 years. Davis was released in 1876 after serving six years of his ten-year sentence. He met villains, Sam Bass and Joel Collins, and took up with them. Their first attempts at robbing stagecoaches were dismal failures — the first two refused to stop and the third earned them just a gold watch and $3. A fourth netted just $6. Davis then planned to rob a train and at Big Springs, Nebraska, on 18 September 1877 they robbed $60,000 from one. They split their booty and went their own way. Davis wasted his money in New Orleans, Louisiana and, by 1879 was back in Nevada robbing stagecoaches. That year, he was shot in the face by a Wells Fargo agent and disappeared. Some reports had him in Nicaragua in 1920 but they are unconfirmed. Some authorities have Davis dying in a gunfight in 1874 and another man with the same name linking up with Sam Bass and Joel Collins.